In this test, a smart camera has been set up on the university's parking. The camera collects data on how cars park within the area and the information is processed using AI. 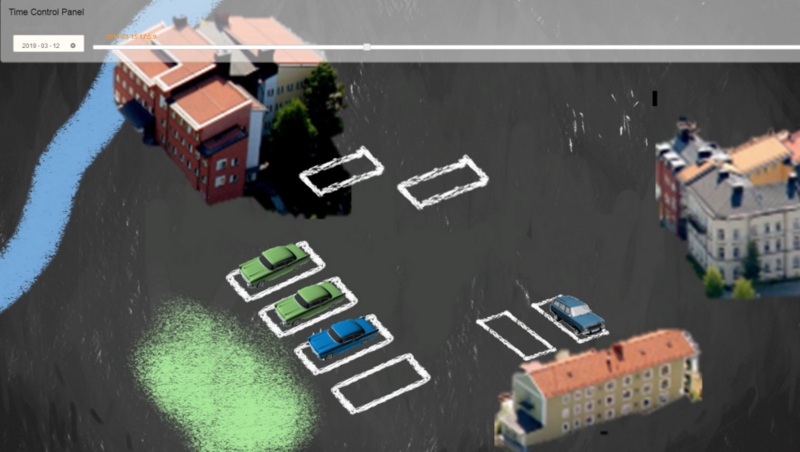 The result is that the AI learns where there are parking spaces and can present an overview of where there are parking spaces available. It is also possible to obtain statistics on how the parking is used over time and in this way the technology can also be used as a tool in, for example, snow removal or other work. Right now the technology is on a test level but in the long run it can be used to develop the smart city where citizens can quickly and easily find a free parking space without having to drive around and search. Good for both the citizens and the environment! This test is a part of the research project SMART and IoT hub för Tillgänglighet coordinated by Bron.